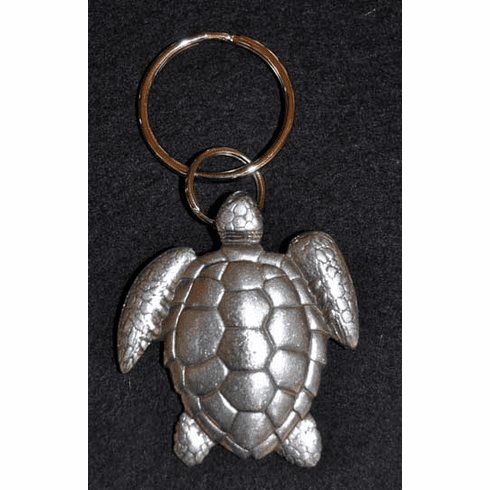 Pewter Sea Turtle Key Ring - Made from solid lead-free pewter our Sea Turtle Key Ring is a beautiful and functional way to keep turtles with you during your busy day. Great attention to detail on both the top and bottom of the turtle make this an heirloom treasure. Sea Turtle measures 2" in length by 1-3/4" in width.